Some gaming laptops are legendary electronic beasts, brimming with the latest in powerful mobile computing tech, built to perform and priced slightly beyond that. 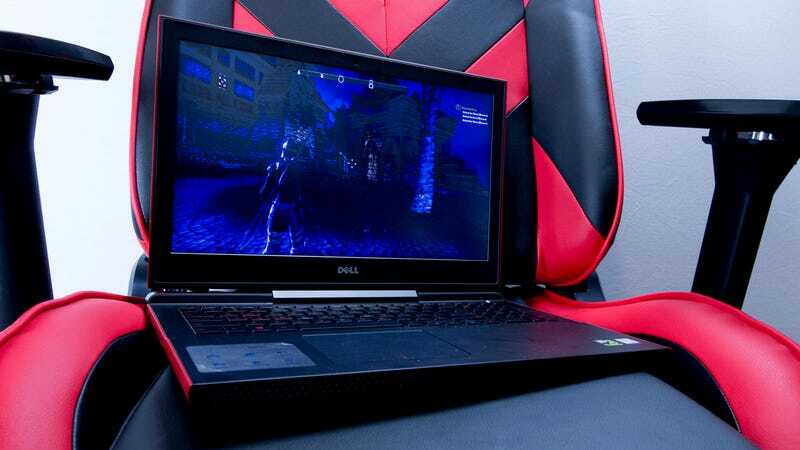 Then there is the Dell Inspiron 15 7000 gaming laptop. You want to play games? It can do that. Just don’t go crazy. I’ve reviewed a lot of gaming laptops in my ten years with Kotaku, and they’ve all leaned towards the ridiculously powerful side of the fence. When a company like Maingear or MSI or Razer sends a review unit to a gaming site, they try to send the best. They’re looking to impress. Aside from what I think is a lovely outer shell, the Dell Inspiron 15 7000 isn’t particularly impressive. It’s a $800 to $1,100 machine that just wants to play some games with the nice people. I almost feel sorry for the little guy. 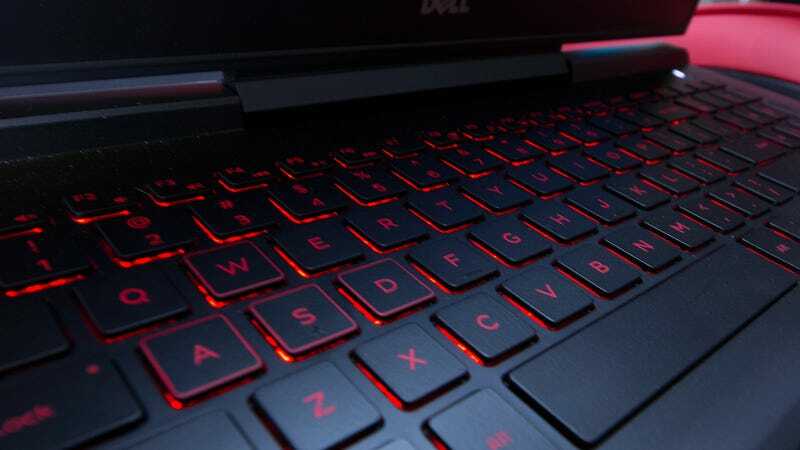 The Inspiron 15 7000 is the new entry-level gaming laptop from the folks at Dell, a company that’s been putting PCs on desks for over three decades. It doesn’t have a glossy 4K touch screen. It’s not outfitted with the most power mobile graphics processing unit available. It’s the kind of gaming machine you can expect to pick up at a Best Buy, though it might be a bit too rich for Walmart. This configuration retails for $899, though it’s currently on sale for $849. The step below it, priced at $799, swaps the Geforce GTX 1050Ti for a plain 1050 and “downgrades” storage to a 5400 RPM terabyte hybrid drive. The $1,100 model features a better processor, double the memory and combines the two drive options. It’s not super skinny, nor is it super powerful. It’s just a gaming laptop. Let it be a gaming laptop. I put the Inspiron 15 7000 through a variety of gaming and everyday tasks. I played a bit of The Elder Scrolls Online, which is a thing I am doing lately. I ran through some of the usual suspects—Grand Theft Auto V, Rise of the Tomb Raider, The Division. I wound up watching a lot of video on the system, largely due to its really nice sound output, though there are issues with the screen that make the experience less-than-perfect. 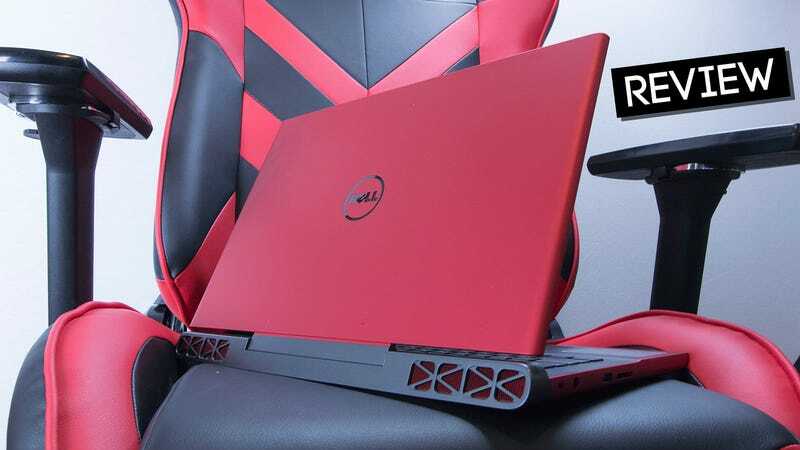 The Inspiron 15 7000 is capable of running just about every game out there at 1080p, with the notable exception of virtual reality titles, as long as the user is willing to dial down their graphics settings. The Geforce GTX 1050ti is one of the entry-level GPUs in Nvidia’s Pascal line. Older games and less graphics-intensive titles—World of Warcraft, League of Legends, Smite—run fairly well. More modern fare doesn’t fare quite as well. Grand Theft Auto V on maxed settings struggled to hit 30 frames per second, as did Rise of the Tomb Raider. I was clocking close to 60 on The Division, but I had to dial back The Elder Scrolls Online to keep it as smooth as I like. Lower the settings, maybe drop the resolution to 720p, and you’ve got a perfectly serviceable gaming laptop. It Looks Nice: While there is a black version of the 15 7000 available, I quite like the striking red exterior of the unit I tested. The color says “sports car,” but then there’s a nice soft finish to it that says “family sedan with a sports car logo sticker.” It’s flashy, but in an understated sort of way. It Sounds Nice: Sacrifices were made to keep this unit at a low price point, but sound was not one of them. Sound on the 15 7000 is loud and relatively rich, something that doesn’t happen often with lower-priced laptops. It almost makes up for the display. Almost. It Plays Games: You want a laptop that plays games? This one plays the games. As mentioned in the performance section, compromises have to be made to play many modern games at a comfortable frame rate, but at the price point it does a pretty good job. Its Battery Is A Beast: For a non Ultrabook-profile laptop, the Inspiron 15 7000 has one hell of a battery. During testing (and not because I forgot to plug it in) I played The Elder Scrolls Online for about three hours before the battery gave out, thanks in no small part to the GTX 1050Ti’s low power consumption. Judging by the speed of the battery drain during regular use (typing, browsing), I’d expect the system to go between six and seven hours without needing to be plugged in. The Display Isn’t Good: Muddy, washed out and with poor color reproduction, the display panel on the Inspiron 15 7000 is the system’s worst feature. I had to constantly adjust the monitor to find a good viewing angle while playing games. Watching video makes the monitor’s poor quality even more readily apparent. This is where the money was saved. 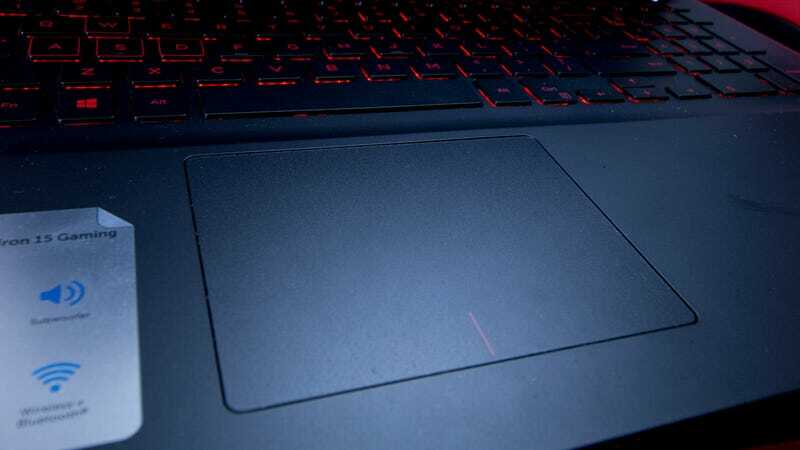 About That Touchpad: I understand the reasoning behind having an offset touchpad. My fingers should always be near the space bar, so centering it below that instead of putting it in the middle of the housing makes sense. That doesn’t stop me from constantly right clicking the hell out of everything while trying to left click. You can adjust the region for right clicking in settings, but I’d rather just go with an external mouse.